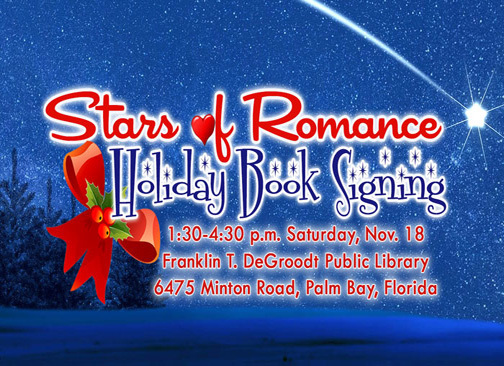 A multi-author book signing featuring bestselling authors of romance, along with goodies and giveaways, will take place at the Franklin T. DeGroodt Public Library in Palm Bay, Florida, on Nov. 18. Among the 18 authors scheduled to be at the book signing will be N.Y. Times, USA Today and Amazon bestsellers. The list includes popular authors and award winners in many genres of romance, including contemporary, paranormal, suspense and historical. Authors will be signing and selling books from 1:30 to 4:30 p.m. Refreshments, prizes and other giveaways will add to the fun at this free party for book lovers and holiday shoppers.